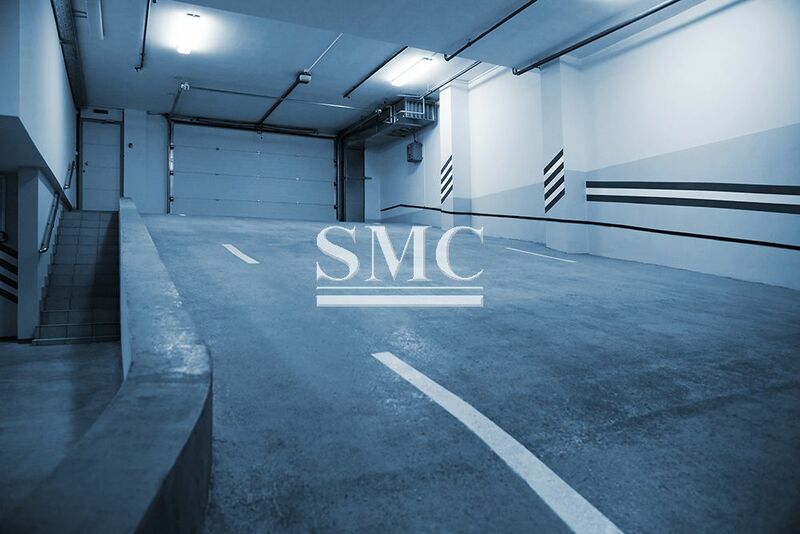 Multi-storey car parks are commonly found at railway stations, airports, hospitals and in city centers. They form parts of mixed-use developments, retail and entertainment centers. Car parks should be easily identifiable for potential users but at the same time be integrated in the overall urban design. Car park structures are usually above ground normally as permanent structures although there is growing demand for temporary/demountable car parking. Underground and basement car parking is also used, mainly in city centres where high land values make this financially viable. Multi-storey car parks are unique buildings in which all elements of the structure are normally exposed to the public. Little weather protection is required and the top floor is generally uncovered. The building is subject to heavy wear from traffic and chemical attack from de-icing salts that can create severe exposure conditions, which should be taken into account when detailing the building. The car park is the first building many visitors to a venue or a town/city centre come into contact with and first impressions count! Although the functional requirements of multi-storey car parks have a strong influence on the building form, they should be expressed in good quality, creativedesign which reflects their importance in creating a good first impression. Where required, a range of cladding options is available to meet any specific local planning requirements. In urban and city centre locations, the building should blend into the environment or, as is often the case where planning allows, contemporary innovative envelope designs are used to great effect. Good car park design should include the following attributes:easy entry and egress to the car park and the parking stalls, uncomplicated and logical traffic flow around the car park, unimpeded movement, light and airy, low maintenance, safe and secure. Ideal for long spans – providing column-free parking space. Lightweight – reducing foundation requirements and robust and fire resistant. 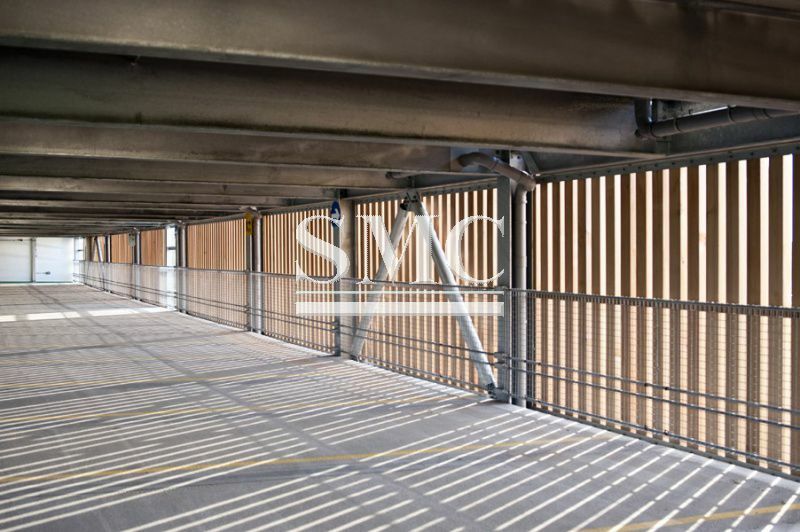 Other advantages of steel construction are : easily maintained, vandal resistant, modular steel systems are available for demountable structures, economic, steel construction also has many generic benefits that are relevant to car park buildings. It is important that the clients’ requirements are reviewed by the whole design team at the outset of the project. Technical and financial feasibility studies should be carried out before proceeding with a detailed design so that the viability of the project can be confirmed. On completion of the feasibility stage, the entire brief should be reviewed and any necessary changes agreed, bearing in mind initial and whole life costs, service life, safety and security, etc. The precise use of the car park and the client’s objectives should be stated clearly in the brief. A car park can be used for a number or a combination of uses, like the provision of a parking facility for a specific development, a public car park built for profit, with a constant pattern of use or experiencing peak demands at certain times. The type and mix of vehicles likely to use the car park needs to be defined as well as the likelihood of any special requirements for vehicle with non-standard dimensions. Consideration should also be given to the potential for the future development of the car park. Ease of entry and egress to and from stalls so that users can gain rapid entry and exit without the risk of damage to vehicle or injury to person. Few obstructions to movement. The driver should be guided through the park without encountering severe obstructions such as columns in the drive path and badly parked cars caused by inefficient design or layout. A light and airy environment. The environment the car park provides will often determine how profitable it is. A light and airy environment should be one of the major goals of the car park designer. Steel is ideally placed to provide this type of environment because of its lightweight nature andlong span capabilities. This can be further enhanced if open web sections are chosen. A safe and secure environment. A building with minimal internal structure will help to enhance the feeling of security by making the area as open as possible with few barriers to sight lines. The light and airy environment made possible with steel will help to enhance the feeling of security required of these buildings. The structure of the car park may be subject to vehicle impact either directly or through transmission from the edge protection barriers. The impact may also be applied at ground level from outside of the car park. All car parks should be fitted with adequate vehicle safety barriers to prevent accidental damage to the structure to and restrain out-of-control vehicles. The loading on foundations is greatly influenced by the material chosen for the superstructure. Steel is the lightest practical construction material for car parks and will often allow the use of simple foundations where other, heavier materials will not. The type of foundation required is often the deciding factor on whether a project is economically viable and therefore steel construction is often the only viable solution for many multi-storey car parks. It is generally preferable to arrange longitudinal column and beam spacings to coincide with parking stall widths; the equivalent of one, two or three stall widths are the most commonly used. Using a single width has the advantage of visually separating the stalls for the driver, but it is not suitable when using internal columns. With column spacing of two stall widths it is generally only necessary to use secondary beams when shallow profile steel decking is used to form the slab. Other slab solutions may require secondary beams when the column spacing is in excess of two bay widths. Secondary beamsare used to avoid propping of the floor during construction, to limit depth of construction and ensure economy of design.